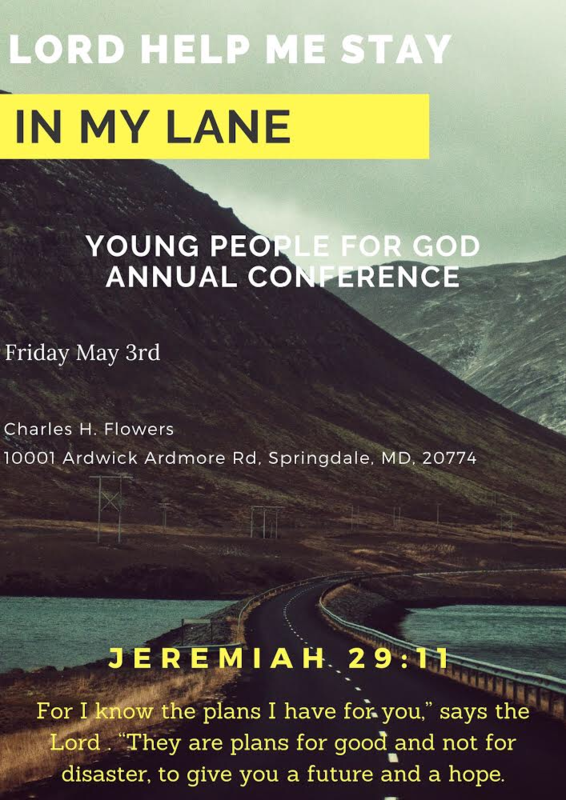 On Friday May 3rd, the Young People for God Club will be hosting another one of their annual conferences! The event will be taken place at Charles Herbert Flowers High School from 4 – 8 pm. Every year there is a theme and this years theme is “In My Lane” and the main scripture is Jeremiah 29:11! Hope to see you there and continue to stay blessed!